1. Infiltration of nitrogen reduces the critical point of the steel. Nitrogen is an alloying element that enlarges the γ-phase region, reduces the phase transition temperatures A1 and A3 of the dialysis layer, and carbonitriding can be performed at a relatively low temperature. The temperature is not easily overheated, and the direct quenching is facilitated. The quenching distortion is small, and the heat treatment equipment is long life. 2. The infiltration of nitrogen increases the stability of the undercooled austenite in the co-permeation layer and reduces the critical quenching rate. 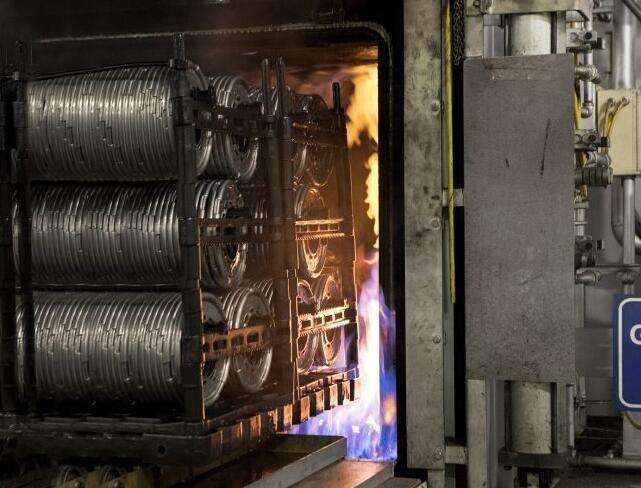 The use of a cooling method that is milder than that of carburizing quenching is sufficient to form martensite, the tendency to deformation cracking is reduced, and parts made of steel having poor hardenability can also obtain sufficient quenching hardness. 3. Simultaneous infiltration of carbon and nitrogen increases its diffusion coefficient. At 840-860°C, the diffusion rate of carbon in austenite is almost equal to or greater than the diffusion rate at 930°C. The co-permeation layer has higher wear resistance, corrosion resistance and fatigue strength than carburizing; the nitriding part has higher compressive strength and lower surface brittleness.